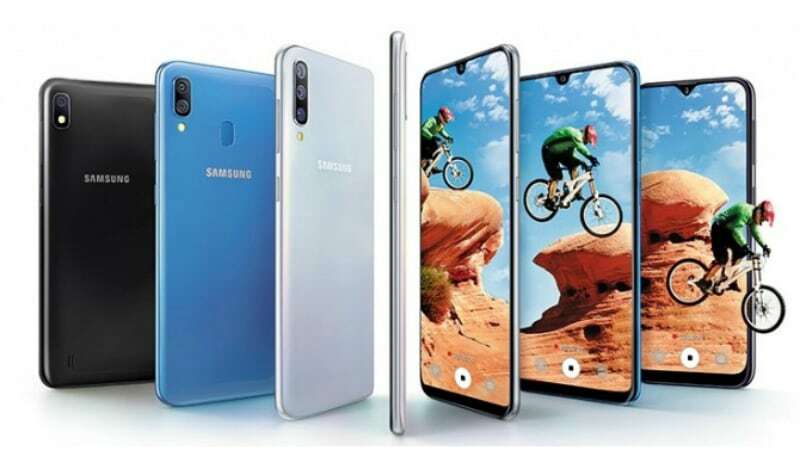 Samsung has announced its Galaxy A50 and A30 smartphone with big 6.4-inch Infinity-U displays and both the device are included in the companies new A series. Both the handsets come with an in-display fingerprint sensor and will be powered by the same 4000mAh battery with fast charging support. These devices will be available in Blue, Black and White color options and will be going for sale in India starting mid-March. Both the handsets support Samsung Pay, Bixby Home, and Bixby Reminder. As mentioned above, this device will come with a 6.4-inch Infinity Super AMOLED display with Full HD+ (2340 x 1080 pixels) resolutions. Under the hood, there is an Exynos 9610 10nm processor coupled with 4GB or 6GB of RAM coupled with Mali-G72 GPU. The handset also comes with support for Dual SIM connectivity and it will be featuring Android 9.0 Pie Operating system out of the box and might be getting further updates when available. Furthermore, there will be a 25MP rear-facing camera with LED flash and a 5MP Depth sensing camera and an 8MP Ultra-wide angle camera. There is a 25MP selfie camera and will come in 64GB / 128GB storage option which could be extended further via microSD card slot. It will be supporting Dual 4G VoLTE connectivity and has a 4000mAh battery on the rear with the support for fast charging. The Galaxy A30 will come with the same Display as the Galaxy A50 but is powered by a Octa-Core Exynos 7870 14nm process coupled with 3GB / 4GB of RAM and Mali G72 GPU. There will be a 16MP primary rear facing camera, accompanied by a 5MP ultra-wide angle camera, while on the front we can find a 16MP selfie sensor. It will be featuring in-display fingerprint señor and also supports Dual 4G VoLTE connectivity. The handset will be available in 32GB or 64GB of storage option which can be extended further up to 512GB via microSD card slot. It will also come out of the box, with the latest Android 9 Pie OS and has the same 4000mAh battery on the rear with the support for fast charging. Pricing for both the handsets should be know when they are made available. Comment in the section below if you have more queries and stay tune to SmartTechh for more.